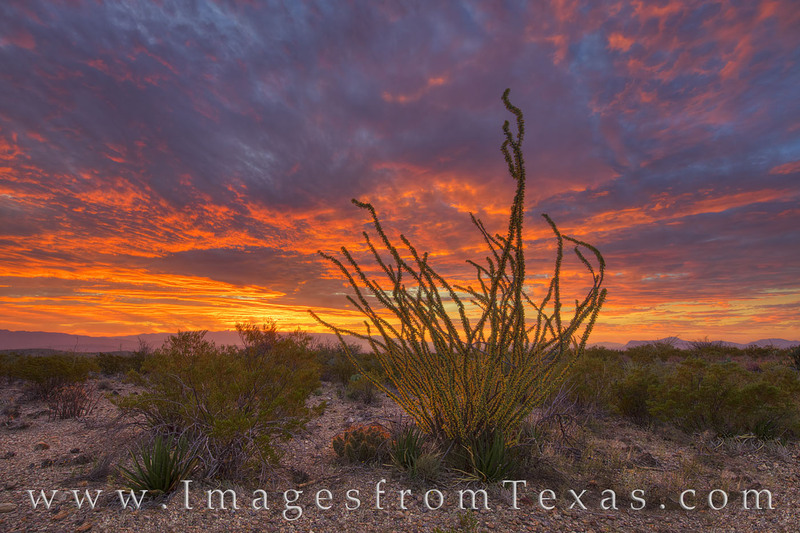 On a cool November morning in Big Bend National Park, the sky lights up in vivid oranges and blues. In the foreground, an Autumn –colored ocotillo seems to glow in the early sunlight. Far in the distance, the Sierra del Carmen mountains rise from the Chihuahuan Desert. Photo © copyright by Rob Greebon.